Governor Rauner recently vetoed the No Salary History Bill — a bill to narrow the pay gap between men and women. This bill would help take much needed steps towards pay equity, and when Illinois women succeed, the whole state wins. I'm running my campaign as a proud feminist. I stood with women across Illinois and called on Bruce Rauner to sign HB40 and protect a woman's right to choose. But we still have so much work to do. I believe in equal pay for equal work. 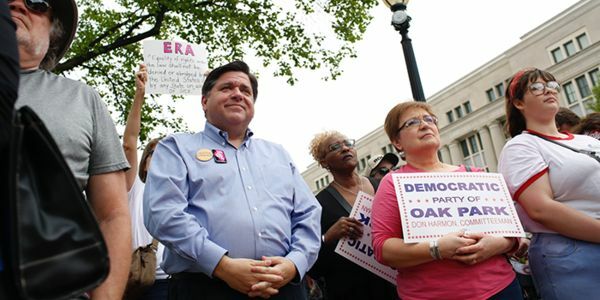 Will you stand with me to support equal pay for Illinois women? We need to make sure that women have access to quality healthcare, equal pay, and paid family leave. Add your name today and help send a message to Governor Rauner: it's time to do everything we can to remove barriers to equality in pay for women.